Olive oil is a true treasure of the Island of Krk. It is obtained exclusively from autochtonous olive varieties. And the harvest is happening as we speak! We invite you to take a stroll down the olive paths, pick an olive or two and enjoy the gastronomic delicacies in restaurant Marina. After successful grape harvest, more precisely white žlahtina , on the line, slowly but surely olive harvest is coming. Olive growing on the Island of Krk is a traditional work throughout centuries. Each step you take on the island, you can see rich olive groves which are there for centuries despite the strong wind ( bura and jugo ) and till this day gives precious fruits. They are so succulent and special because of the Island's climate in which they grow. And their specialty comes to light only when they are turned into delicious olive oil. The island's olive oil is extra virgin olive oil and its obtained from autochtonous olive varieties by the name of Drobnica, Oblica, Debela, Naška, Rošulja and Slatka. The olive harvest on the island of Krk is not considered a tiring job which has to be finished. The harvest is like a festival and some kind of ceremony where all the pickers and olive growers enjoy. Every year, the olive harvest starts in October and finish in the middle of December. During that time there are more than 1000 pickers a day involved in the harvest. Olive oil is quite prized and important in the history of Island of Krk. Islanders used the olive oil as a currency and commodity exchange. Today, not a single dinner table is without a bottle of olive oil. Many nations considered olive oil as a sacred oil, a symbol of strength and health, so it's not surprising that today, you can hear that olive oil is also called liquid gold. Olive oil has a variety of good effects on health and the human body. Its the only oil which contains 75 % facts in a shape of oleic acid which fights bad cholesterol, protects the cardiovascular system, improves the health of the digestive system, it works against inflammation, strengthens bones and protects the body against cancer. Because all of the benefits which olive oils have, it's not a surprise why the Islanders are healthy and have a specific youthful glow. Association of olive growers called Drobnica from Krk, together with the cityand county, made about ten kilometers of educational olive paths with boards where you can read about various sorts of olives, harvest period, quality of the oil and a lot of informations of the variety of plants on the paths. If you like the idea, you can join the pickers and experience the olive harvest. A pair of extra hands is always welcomed. And while some are picking the olives, the others are preparing delicious barbecue meals for all the participants. After you walk for 10 kilometers on the path, you will need to rest. We are glad to invite you to visit our restaurant Marina where you will definitely find superb olive oil. It will perfectly blend with each bite of Krk's traditional cuisine but you can experiment with specialties of international and innovative cuisine. We are listed in 100 leading restaurants in Croatia, so you can expect only the best! Like we said before, on the Island of Krk the olive harvest is a true festival. 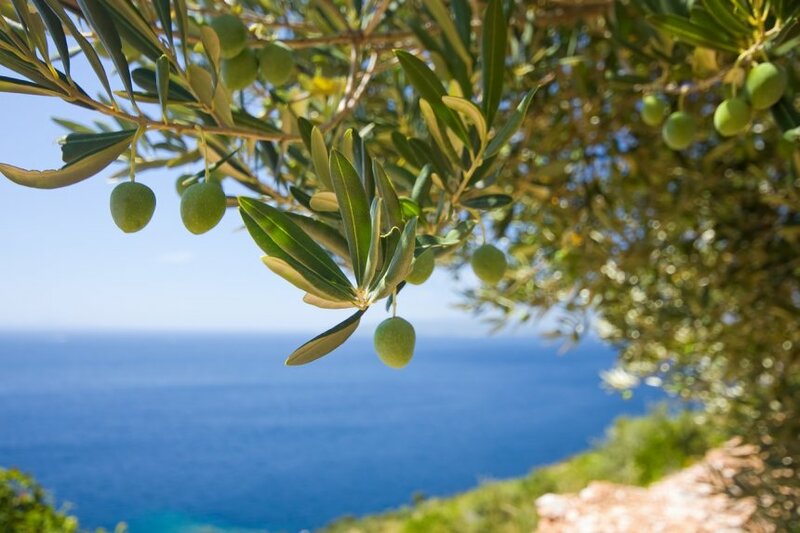 In Punat, a town near the city of Krk, from October 20th – 22nd, you can enjoy Olive days. There you can enjoy in a market fair of local products, learn something about the harvest and olive growing and taste the local olive oil.